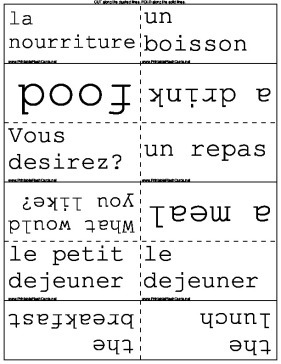 Learn how to order different meals in French and English with these printable food flash cards. Vous desirez? What would you like? Bon Appetit! Enjoy your meal!